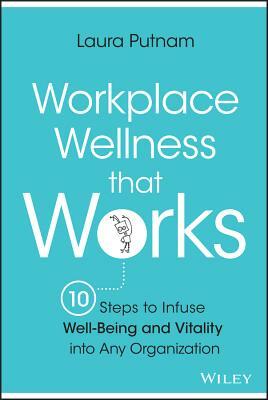 Workplace Wellness That Works provides a fresh perspective on how to promote employee well-being in the workplace. In addressing the interconnectivity between wellness and organizational culture, this book shows you how to integrate wellness into your existing employee development strategy in more creative, humane, and effective ways. Based on the latest research and backed by real-world examples and case studies, this guide provides employers with the tools they need to start making a difference in their employees' health and happiness, and promoting an overall culture of well-being throughout the organization. You'll find concrete, actionable advice for tackling the massive obstacle of behavioral change, and learn how to design and implement an approach that can most benefit your organization. Promoting wellness is a good idea. Giving employees the inspiration and tools they need to make changes in their lifestyles is a great idea. But the billion-dollar question is: what do they want, what do they need, and how do we implement programs to help them without causing more harm than good? Workplace Wellness That Works shows you how to assess your organization's needs and craft a plan that actually benefits employees. Today's worksite wellness industry represents a miasma of competing trends, making it nearly impossible to come away with tangible solutions for real-world implementation. Harnessing a broader learning and development framework, Workplace Wellness That Works skips the fads and shows you how to design a smarter strategy that truly makes a difference in employees' lives--and your company's bottom line. LAURA PUTNAM is founder and CEO of Motion Infusion, a well-being consulting firm that provides creative solutions in the areas of engagement, behavior change, and human performance improvement. She has worked with a range of organizations from Fortune 500s to government agencies to academic institutions and nonprofits. She also serves as the Chair of the American Heart Association's Greater Bay Area 2020 Task Force.